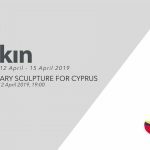 The opening of Cyprus and the surrounding region’s sole art, design, communication university Arkin University of Creative Arts and Design’s (ARUCAD) 2018-2019 maiden academic year was realised with a ceremony held at the University campus. 2018-2019 Academic Year opening ceremony was attended by National Education and Culture Minister Cemal Özyiğit, Agriculture and Natural Resources Minister Erkut Şahali, Undersecretary of the Turkish Embassy in Nicosia Yasin Temizkan, Chairman of the Arkin Group Board Erbil Arkin, Head of the ARUCAD Board of Trustees Dr. Sinan Arkin, Rector Prof. Turan Aksoy, deputy rectors, academicians, administrative personnel and many guests. At ARUCAD; which had marked its foundation in 2017 with an exhibition of 34 pieces of original works by Auguste Rodin, one of the pioneers of modern art, and his close circle; the academic year opening ceremony kicked off with the observation of a moment’s silence which was followed by singing of the national anthem. The screening of a short video film that was prepared by the Communications Faculty and was entitled “I am a dreamer” received a standing ovation from the audience. A short concert by the Classical Trio was followed by speeches. Professor Aksoy concluded his speech by wishing students and lecturers a year during which they would make the most of the time and conditions that they will find. Chairman of the Arkin Group Board Erbil Arkin said he was experiencing the joy of seeing the realization of his biggest ever dream and advised the students to chase their dreams. Agriculture and Natural Resources Minister Erkut Şahali said those who followed their dreams changed the world and told the students that they needed to make a difference in the field of their respective studies and be pioneers of initiatives that would take the country forward. 2018-2019 Academic Year Opening Ceremony was concluded with a cocktail that was accompanied by a concert.